Question Time – How Was It For You? Although this will be my third post in a week about Griffin and the BNP I promise I’m not developing an unhealthy fixation with the far right – my immediate reaction to last night’s Question Time is that they simply aren’t that important. I must admit I approached yesterday’s programme with a certain amount of dread, fearing that Griffin would turn in an accomplished, well-rehearsed performance, but in the end I needn’t have worried. The BNP leader looked nervous, defensive and shifty, he fluffed many of his lines and didn’t once strike a chord with an audience who made me proud to be British. We’re perhaps led to believe that the British public is entirely composed of curtain-twitching Daily Mail readers who are convinced we all live in a land of ‘political correctness gone mad’ and ‘elf and safety nazis’ (curse your lazy journalism, Richard Littlejohn) but it was heartening to see the way the Question Time audience, always a meticulous cross-section of the public, refused to allow Griffin to be their spokesman. Time and again he clumsily fired out a soundbite and each time he met with a wall of disdain. The other panellists all performed well, crucially steering away from hysteria to tackle the BNP with reasoned argument, but the show-stealer for me was Bonnie Greer. She dealt with Griffin with an assured calm, most memorably with her “Got some reading for you Nick, think you need it” comment. Today’s clumsy rebuttal operation from the BNP, inevitably accusing the BBC of bias and of putting Griffin in front of a lynch mob, just proves how poorly they think their leader performed. It also proves that the BBC were right to let Britain have this important debate. 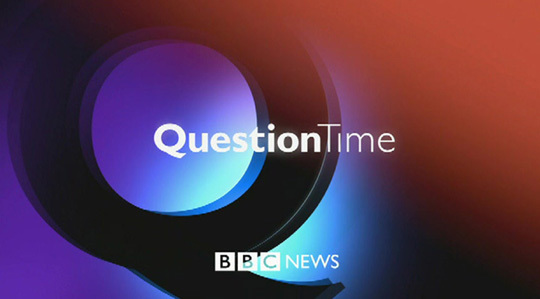 Much of the day’s political discussion on the airwaves has centred around Nick Griffin’s appearance on the BBC’s Question Time tonight. Opinion still seems to be sharply divided over whether the BBC has done the right thing in inviting Griffin onto the show, with no end of voxpops either talking of ‘freedom of speech’ or ‘freedom from fascism’. As I’ve previously written, I have a great deal of sympathy with both of those arguments but ultimately freedom of speech wins it for me. It’s perhaps worth remembering how we arrived at this point. Griffin wasn’t invited onto Question Time because the BBC have a deep-seated sympathy for his far-right views. (All sides of the political argument regularly accuse the BBC of bias, but I don’t think anyone has seriously claimed they are a white supremacist mouthpiece.) The BNP have a seat at the table because they have two seats in the European Parliament. The BBC – rightly in my view – have treated them the same way they would treat any other political party who are democratically elected, like it or not. The second ‘at fault’ group are the mainstream political parties. While all of them attack the extremism of the BNP none of them are prepared to pick a fight with the newspapers who keep peddling the myths that feed Griffin’s party. There are understandable political reasons why they don’t, but one of the things we hope to get from our leaders is leadership and unfortunately too little of it has been forthcoming on issues such as why we benefit from immigration. By being too timid to speak our leaders have allowed the debate to be framed in terms of ‘”they come over here and take all our jobs”, instead of pointing out that without immigration the economy would barely function, not to mention arguing for the wider benefits of broadening our culture. The Labour Party has been the most disappointing in this area. One would expect a party of such proud traditions to be out there banging the drum for modern Britain. Instead they offer us Phil Woolas who seems to spend his time spewing out anti-immigration ‘initiatives’ tailored for the consumption of the Daily Mail et al. I know full well the Tories will head down the same road when their time comes, but I would expect little else of ‘the nasty party’. Labour disappoint because of all the opportunities they’ve spurned. The last group of culprits are the public at large, every single one of us. We are the ones who have the power to tackle the BNP. We are the ones who can choose which newspapers we buy. We are the ones who decide what language is socially acceptable. How many of us challenge those who tell racist jokes in pubs? How often do we step in when we hear a ‘casual’ racist remark in someone else’s conversation? How many of us will switch off the TV and actually bother to go out and vote in those areas where the BNP find strength through ignorance? The answer is some, but not enough. This is a difficult one for sure. The BNP are clearly a malign, divisive force for evil, targeted at the ignorant and the nasty, and it will be highly uncomfortable for many of us to see their leader, Nick Griffin, sitting on a BBC Question Time panel alongside the representatives of democratically constituted political parties – parties whose membership is open to all, irrespective of colour or racial origin. And I do understand that instinct within many who feel that the BBC, or any other broadcaster, should not be giving these racists the oxygen of publicity. Peter Hain is a case in point. No one can dispute his credentials as a campaigner for racial equality, having first reached the public consciousness in the fight against Apartheid, but I believe he is wrong to raise the spectre of legal action over Griffin’s Question Time appearance (BBC: BNP debate ‘illegal’, warns Hain). That, for me, is the easy part of the argument. What is much harder is having to sit through an exuberant Griffin firing his nasty soundbites to a wider audience than he’s previously been accustomed to. Unfortunately that’s the downside of democracy. But that does lead me to ask the question “What would Griffin want the BBC to do?”. My guess is that he would absolutely love it if the BBC pulled the plug on his Question Time appearance. Not only would he not have to sit through a public scrutiny of the swivel-eyed nonsense his party spouts, but also he will receive acres of coverage in the print and broadcast media which may, perversely, fuel a sense of outrage and injustice that his voice will not be heard. You can almost hear the soundbites now: ‘Liberal bias in the media’, ‘The supression of the voice of our indigenous people’ and so it will go on. So while Thursday night’s Question Time may well be uncomfortable viewing, we must hope that the panellists and the studio audience ‘do a job’ on Griffin in a symbolic arena of our democratic rights. If they don’t pull it off we can console ourselves that the BBC did the right thing, and that the alternative would have been so much worse.